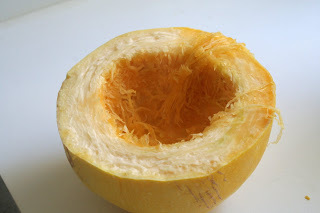 Start by cutting your squash in half, you can either cook it in an oven for about an 45-60 min at 350 ish, or put it on a plate and stick in the microwave for around 15 min. 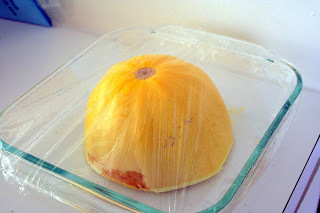 I tried one half this way, in a baking dish, with a little water, covered in plastic and it didn't get done any faster than the squash I just set on a plate and stuck in the microwave for 15 minutes. 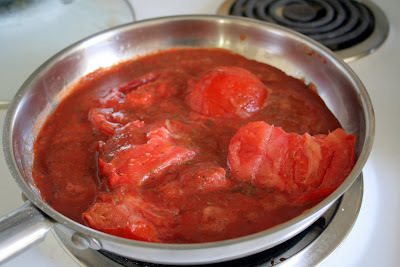 Add a couple of Tomatoes, I just pulled these out of my freezer so I didn't cut them up very well. 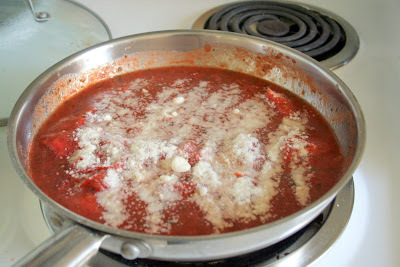 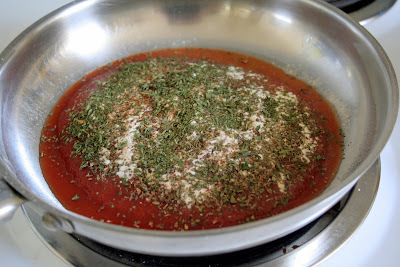 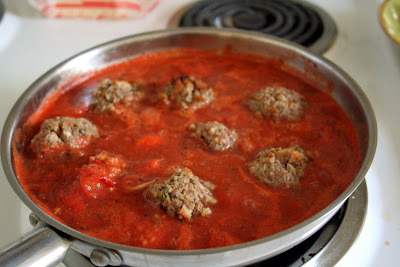 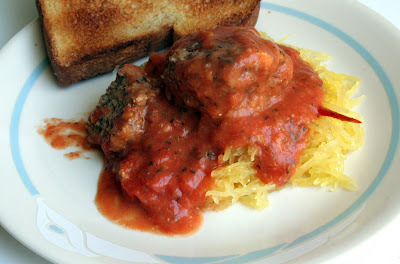 Add some meatballs to your sauce, or cooked ground beef, add a dollop of Sour Cream and mix in. 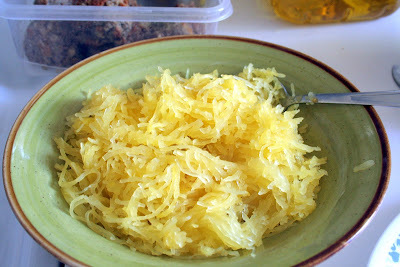 Serve over the top of your squash.